We pride ourselves on being a highly trained and motivated workforce, keeping up with latest industry developments. The training of our workforce is an ongoing process, not only in scaffolding, but also in health and safety issues. To ensure their continuous improvement, we employ the services of a health and safety sub contractor to monitor our workforce, identify and deliver necessary training. All of our scaffolders are cardholders for CITB, CSCS and CHAS. Finally, our staff all carry Construction Industry Scaffolders Record Scheme (CISRS) cards, meaning you can quickly verify their competence via the number supplied on the reverse of the card. At Apex Scaffolding the safety of our workforce, contractors working on our scaffolding and the general public is our highest priority. We provide risk assessments, health and safety policies and method statements. Plus, our workforce are trained to the latest SG4.10 European standard and our scaffolding is erected to TG20.08 standard. For additional safety, we also have our erected scaffolding regularly inspected by an independent auditor. We're fully insured with £10 million Public Liability insurance and £5 million Employee Liability insurance. With Apex Scaffolding, you can be assured of a safe, quality service at a competitive price. Beware of quotes from companies that are much lower than the average. Chances are they're not compliant with current legislation or don't carry sufficient insurance, thus putting your business, contractors and the general public at risk. 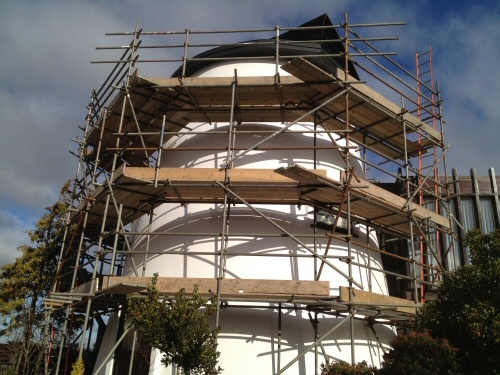 To enquire about our scaffolding services, please email or give us a call. Apex Scaffolding are based near Preston in Lancashire and offer Scaffolding Services including sales, hire and erection to domestic, industrial and commercial clients in Preston, Ashton-on-Ribble, Bamber Bridge, Broughton, Chorley, Fulwood, Higher Walton, Hutton, Ingol, Lea, Leyland, Longridge, Longton, Lostock Hall, Penwortham, Ribbleton, Walton-le-Dale, Whitestake and beyond. With good links to the motorway network, we also operate throughout Lancashire and the North West of England.